Higher education is encouraged for an astronomical price. The banks are more than happy to lend you the money, because most people cannot afford the amount being asked by colleges or universities. Now that you are educated, you are ready to get married but you need a budget for that. Where is it coming from... more debt?! You also need a place to live; since you have a job the banks are more than happy to lend you the money for a house which needs two incomes. Stretching your budget to a maximum, you are now shackled with your spouse to an even bigger dept for the mortgage. Since transportation is important a car is needed, here comes more debts along with interest to pay for this car. Children are on the way... you need more money for that, and we have not even come close to discuss other living expenses like; furniture, food, gas, clothes, utilities, insurance, taxes and so on. Money for babysitting services is needed for two working parents in order to afford paying for their debts. You’re not even raising your own children, someone else is! Most people out there are working for someone else this dictates the length of hours you must work and the conditions you must work under. Someone else dictates the amount of money you deserve for the skills you are providing, and how much you get for a raise. They descide when you can take vacations, and if you are entitled for sick leave no matter how hard or how long you have been working with them. 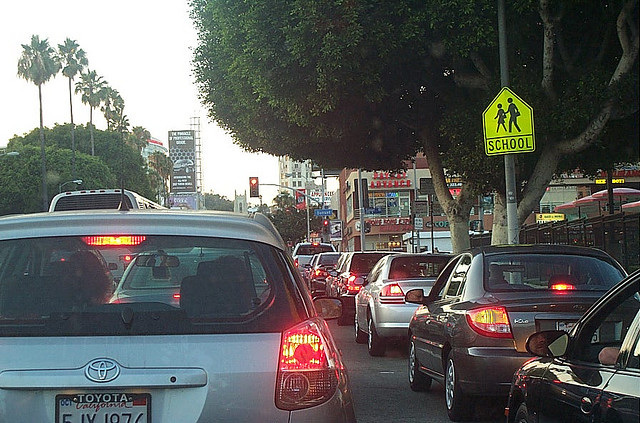 Stuck in traffic; who pays for the rising gas prices? Working long hours means; you have no time to cook, therefore you have no choice but to eat out or buy boxed food. Everyone knows that these eating habits will lead to sickness but you have no choice anymore. You are now a white collar slave. When you get sick you feel guilty taking the time to recover, because your boss will see you as unproductive, and you are constantly worried to lose this precious job that you based your entire life upon. It is easy to say “no you are not a slave because if you don’t like it you can just quit your job!” But how will you pay for all the accumulated debt? On top of that you have children to think about! These loans and stressful work conditions will have a negative impact on anyone’s health. Now that you are working to pay back the banks. How long do you think it will take to pay it all back if ever?! There must be an alternative method to this madness, but what could it be? You have to think outside the box! If you change directions and stop following everyone’s footsteps, you may discover an alternate way to live without being dependent on this skewed social system. Self Employment might be the answer for you. If you become an entrepreneur working for your own business, it doesn’t matter if it’s a blue collar or a white collar, you are being paid for every hour on the job which means; working hard will earn you more money, you have flexible working hours and only answer to yourself. You can give yourself time for vacations whenever you desire and since you are in control there is no fear of losing your job. Find something you would like to do and use your creativity to make it your job. You must think for yourself and stop depending on others to tell you what you should be doing with your life. Borrowing to buy stuff and materialistic Possessions will not make you happy, it’s the way you live your life that will make all the difference in the world. I didn’t say it’s easy to change, but if you don’t try you will never know.